When it comes to structure and comfort, Osprey is an industry leader. For years they have designed high-quality high-performance best Osprey Backpacks that has inspired their customers to hit the trails and embark on adventures. Picking a backpack that works for you can be a tricky ordeal. The vast amount of options and content can make it difficult to find the right fit. Here, we can take a look at the top 3 best backpacks that Osprey has on the market right now: the Aether 70, the Stratos 50 and the Atmos AG 50. While their size and uses can vary, their quality and functionality do not. Regardless of what you are looking for in a pack, one of these packs by Osprey is sure to meet your needs. 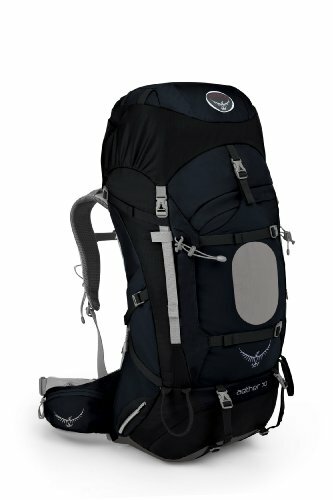 Final Thoughts – Is there a “Best” Osprey Pack? WEIGHT 5lbs 1 oz. 3lbs 2 oz. 4 lbs. Note: I am often asked what I think of the Osprey Aether vs Atmos. Put simply, The Aether is going to be better for LONGER trips. Anything less than 3 days you can do with the Atmos, while anything MORE than this would be best suited for the Aether. For a more in-depth look, the following breaks down the key consider along the lines of the following criteria: space, access, comfort, and design. It goes without saying that the Aether 70 has the most space. This 70-liter pack can carry up to 55lbs of gear with external clip-on options. A sleeping bag compartment, top pocket, dual access side pockets and dual ice axe loops are only a few of the features that make this pack outstanding. If that’s not enough, the Aether 70 has a built-in option to add on a detachable backpack. If space is what you need, this is the right choice for you. With that being said, while the Aether 70 does have massive amounts of space there aren’t very many pockets other than the ones mentioned, meaning that it can be difficult to keep gear organized. For smaller trips, the Stratos 50 or the Atmos AG 50 would be better suited. While they can still fit a healthy amount of gear they also have more pockets. The Stratos 50 in particular boasts a wider array of pocket and room (even with the sleeping bag in it’s compartment). The recommended weight for these two is between 20 – 30 lbs. In the world of backpacks, accessibility can be a deal breaker, especially on shorter trips. At first glance, it would appear that the Aether 70 has the best accessibility due to its J-panel. However, the J-panel doesn’t open all the way. It does have the top pocket and two mesh pockets for quick grab items and the hydration pocket is on the outside instead of inside (for easy access), but beyond that, it doesn’t boast much. That begin said, the Aether 70 is designed to be a heavy-duty gear carrying pack that is opened once at the end of the day. The Stratos 50 is a better option in this area. Due to all of its pockets, gear can be organized effectively. This leaves gear easier to access in a bind. The panel load access is extremely effective since the pack is smaller rendering. The Atmos AG 50 doesn’t have a J-Panel, meaning that gear at the bottom of the pack is a lost cause. When it comes to comfort the Atmos AG 50 takes the cake. With new anti-gravity technology, this pack uses a weight retention design that keeps the weight off your shoulders and back. The mesh back design allows enough airflow to prevent sticking and sweating. Many have called the Atmos AG 50 the “most comfortable backpack” they’ve ever worn. Additionally, this pack is extremely snug and is said to stay on, even with the hip belt undone and the shoulder straps off! Now that is a well-formed backpack! Not to say that Aether 70 and Stratos 50 are uncomfortable. Their design works for their purpose. They both boast excellent weight distribution, padded (but stiff) shoulder/hip belts and numerous adjustable features to fit your needs. They are solid and dependable packs. Comfort wise, their design is different than that of the Atmos AG 50, and they don’t compare. Each of these packs was designed for a different purpose. The Stratos 50 is meant to be a day hiking pack, and for that goal it is excellent. It has an integrated rain cover, compression straps and a plethora of pockets. The material is durable and abrasion/water resistant. An internal reservoir sleeve can be purchased separately to further add to the convenience of this pack. 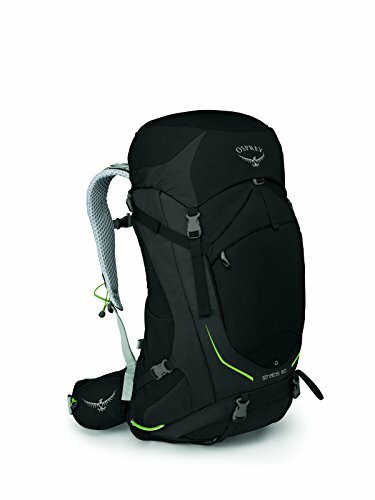 Easy accessibility, great airflow and a roomy interior make this the perfect pack for a hiking expedition. The Aether 70 is built for longer and more robust trips. The larger size and variety of accessories compliment an expedition that requires more intensive gear, clothing and food. It has the outstanding load carrying comfort and a hip belt that can be custom fit in any retail store that sells it. The top lip can convert into a lumbar pack, which is great for day trips away from camp. The mesh material is less durable than one would hope, but it can be replaced under warranty if there are any issues. The Aether 70 is a pack that is meant for longer trips that contain a more rugged terrain. Keep in mind, the built-in rain cover is only available in Europe. You can pack your gear in dry bags to avoid this issue. Lastly, the Atmos AG 50 is a hybrid between the two. Its size and design are meant to handle multi-day trips that are longer than the Stratos 50, but shorter than the Aether 70. Its incredible suspension system suspends every strap rendering gear easy to carry. It is said that this backpack feels like a part of your body, rather than a separate entity. It’s been tested on a trampoline, so that has to be a fact. It has an internal hydration pack sleeve and a rain cover can be purchased separately. It goes without question that this pack was designed with comfort in mind, making it ideal for shorter trips where less gear is required. Each of these bags serves a different purpose. They have been expertly designed with different needs in mind. 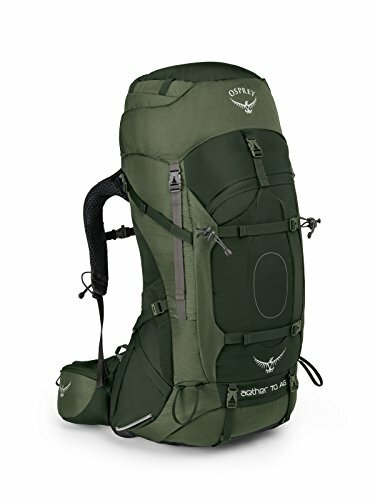 Whether you are a casual hiker or intense wilderness tripper, one of these amazing products my Osprey will fit your needs. The question is, what is your intention with your backpack? If you are looking for something that is durable, comfortable and best used on longer backpacking, mountaineering, or camping trips, the Aether 70 is the pack for you. But, if day trips are more your thing, who wants to haul around a pack that huge? Both the Stratos 50 and Atmos AG 50 are excellent choices for the casual hiker and traveler (i.e. great travel backpack options for airplanes – carry-on size – , trains, buses, etc…). The Atmos AG 50 does offer a bit more flexibility, rendering it a great pack for people who enjoy both day and overnight trips. Ultimately, they are all best osprey backpacks that you won’t go wrong with. All that’s required is an evaluation of your outdoor life to ensure the right purchase is being made. Like always, make your purchase in store to ensure that the pack you choose is a good fit and the right one for you!